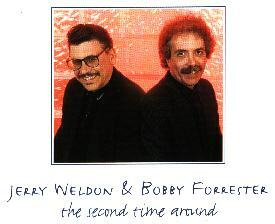 Fasten your seat belts... and let the dashing combo of tenor saxophonist Jerry Weldon and organist Bobby Forrester rocket you to exotic realms both familiar and new. Indeed, the tenor-organ tradition established by such stylish tandems as Stanley Turrentine-Jimmy Smith and Harold Vick-Shirley Scott lives large in this stellar hook-up between Weldon and Forrester, two friends whose musical and personal simpatico resonate everywhere. 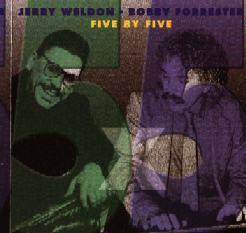 "...One of the great dates of the 1990's, saxophonist Jerry Weldon's and organist Bobby Forrester's always cooking, always musical 5 X 5! 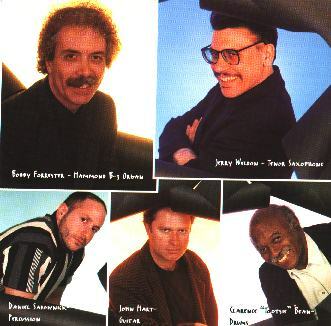 Bobby, currently backing blues diva Ruth Brown, has supported... fine tenorists including George Coleman, Sonny Stitt, Percy France... Stanley Turrentine and Harold Vick." "The title track, The Second Time Around seems to bring everything full circle. The playing is fresh and lively with no one ever stepping further out than needed. John's guitar is fresh and both Jerry and Bobby say what's necessary with confidence and pose. This one fades to a calm finish but certainly not to an ending as I'm sure you'll be pressing the ''play' button soon enough for that Second Time Around".